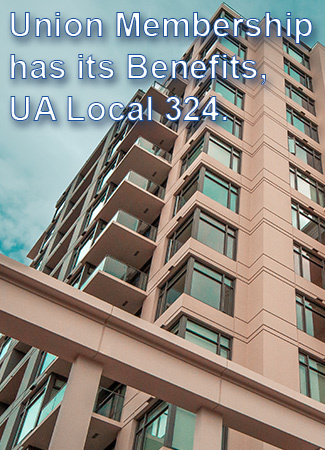 Welcome to UA Local 324! We at U.A. Local 324 reflect on our achievements since inception in 1902. We are proud of the remarkable work of our members past and present who have dedicated themselves to the movement as staunch advocates for the interests of workers. Our Members demonstrate a high degree of quality craftsmanship necessary to construct residential townhomes, condominium’s, schools, office buildings, water/sewer treatment facilities, Pulpmills and Shipyards within our jurisdiction on Vancouver Island. 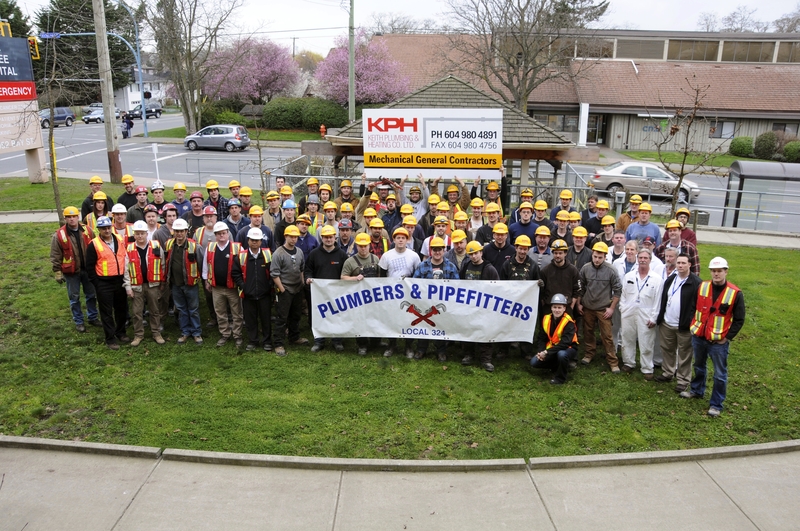 The United Association of Journeymen and Apprentices of the Plumbing and Pipe Fitting Industry of the United States and Canada, or “UA” as it is commonly known, was a pioneer that recognized no political or geographic boundaries between Canada and the United States of America. 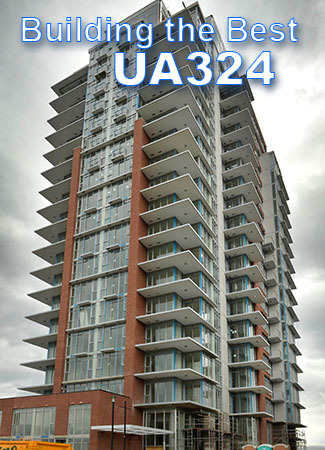 UA 324 has consistently ranked within the top 10 locals in growth across North America. With expanded training programs and education provided to our members we are ready to move forward into the future, maintaining the high standards required in today’s highly technical and changing workplace. By means of a strong strategic plan U.A. Local 324 will endeavour to keep acquiring a larger share of the construction market and continue growing our membership within our jurisdiction. 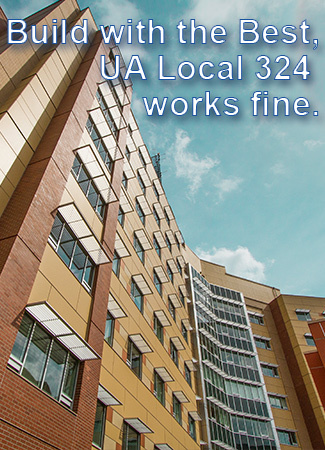 We have established a legacy that future generations of UA Local 324 can be proud of and build upon. *Voting Results* Please see news and events for voting results. 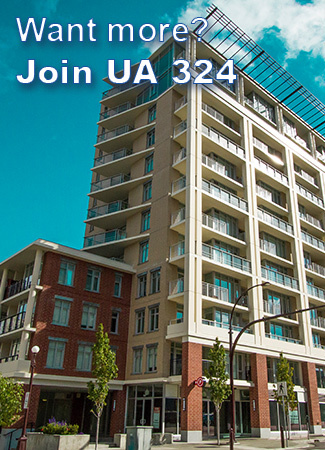 Courtenay Union meeting will be May 23rd, 6pm Best Western Hotel. Victoria Union Meeting May 14th 6pm, Union Hall.